Have the Luck of the Irish with you while wearing our LED Shamrock Necklace. Bright green LED lights bounce off of a reflective metallic green surface. Cycle through each of the 4 functions (off/on, steady flash, fast flash, and slow flash) with the simple push of a button on the back. Each LED Shamrock Necklace comes on a 33" green bead necklace. 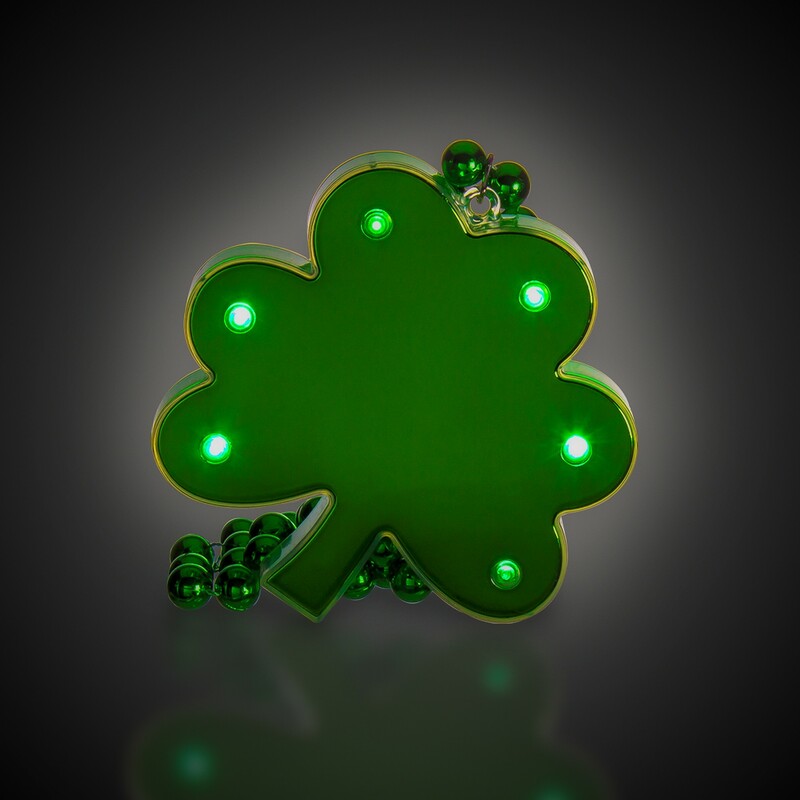 Each oversized LED shamrock is 4.5" x 4.75" and comes with 3 replaceable AG13 (1.5v) batteries included and installed.